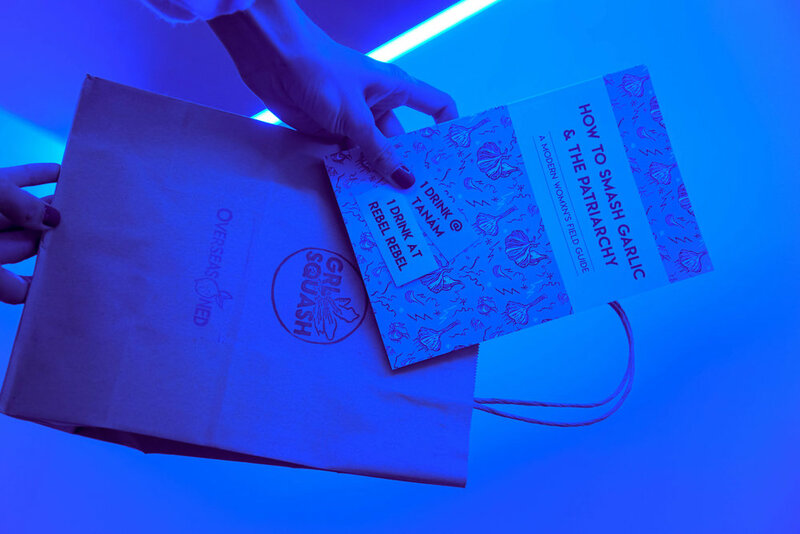 On Thursday, March 28th, GRLSQUASH and Overseasoned celebrated the launch of our collaborative publication, HOW TO SMASH GARLIC AND THE PATRIARCHY: A MODERN WOMXN’S FIELD GUIDE. 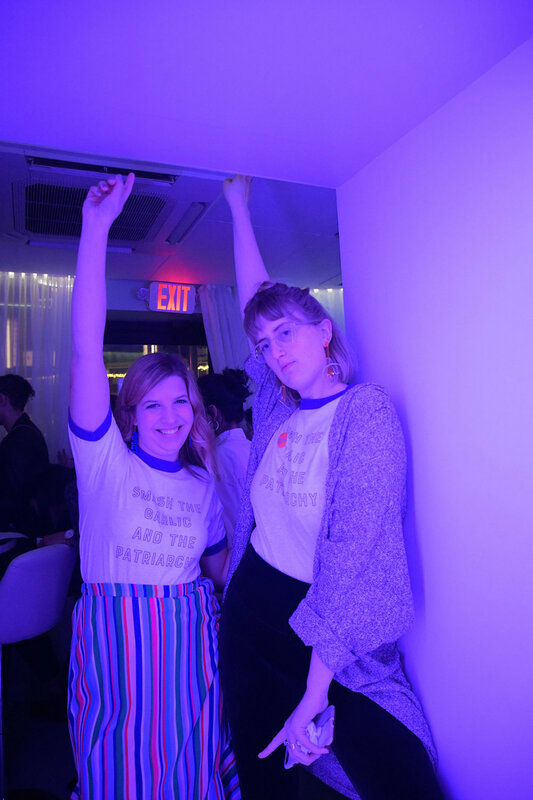 The party fittingly took place in dual womxn-led businesses — both featured in the publication — Tanám (Ellie Tiglao + Kyi Davenport) and Rebel Rebel Wine Bar (Lauren Friel), both part of Bow Market in Somerville. A ticket to the launch party included a cocktail-of-choice from Tanám’s menu, as well as deliciously prepared vegetarian snacks (veggie dumplings, savory mushroom baos, and slightly-sweet fried coconut rice balls for dessert), + a glass of womxn-made natural white wine from Rebel Rebel. How to Smash contributor Rita Tinega, AKA founder of VisualMag, was there to capture the evening through her lens. From intimate conversations around the communal table at Tanam to giggles over wine at Rebel Rebel — and all the running back and forth between businesses that ensues when you simply just can’t decide which environment to stay in because they are both so, so perfect — the party was truly a success. I talked to womxn in the community I’d had friend crushes on for too long, got to know the partners of some new pals, and gushed with my GRLSQUASH gang about the delicious food, talented folks, and utter vibrancy of the evening.